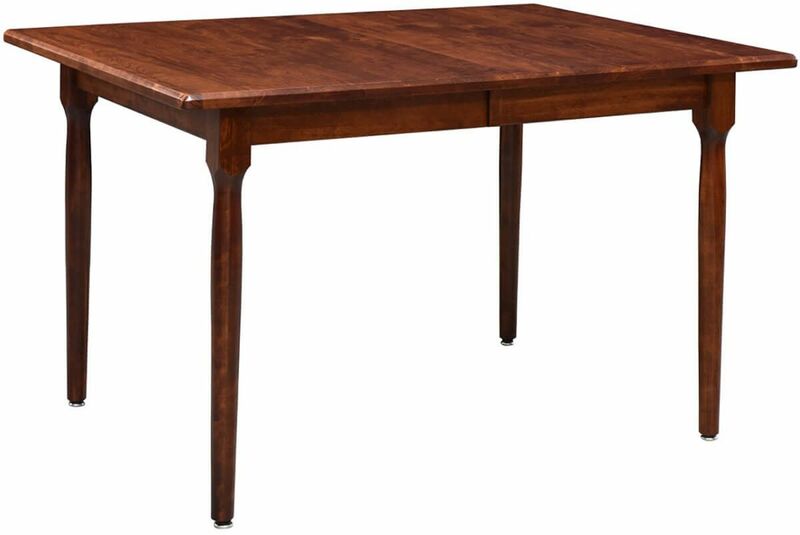 Our handmade Sweetfield Kitchen Table makes for effortless entertaining with its ability to expand, adjustable levelers, and self storing options. 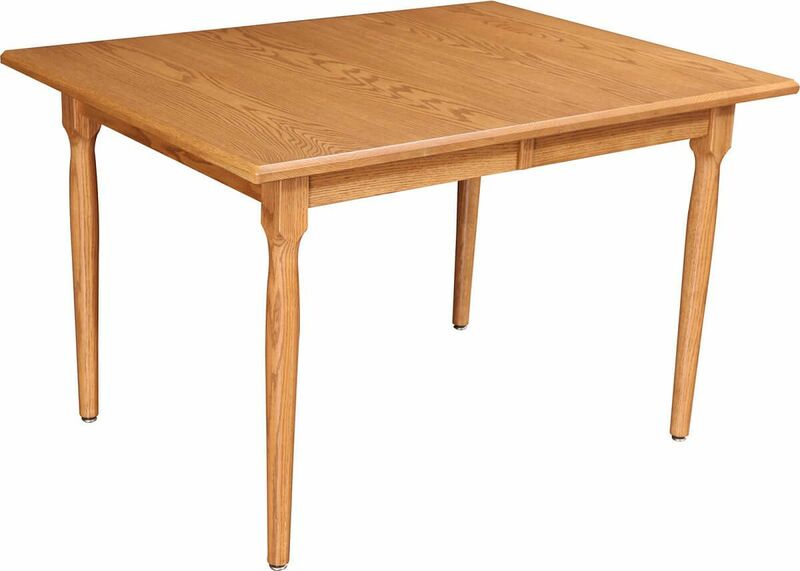 You will find every detail has been planned to perfection in our solid wood Sweetfield Kitchen Table. At a thickness of one inch, the lustrous hardwood you choose is selected, sanded, stained, and cut by hand to create your table top. Should you elect to include the two leaves with your wooden kitchen table, they are then cut and set with wooden pegs on wooden slides for long-lasting ease of use and self-storage. Our artisans install a leveler in each to make certain you have a precise and even surface for mealtime. 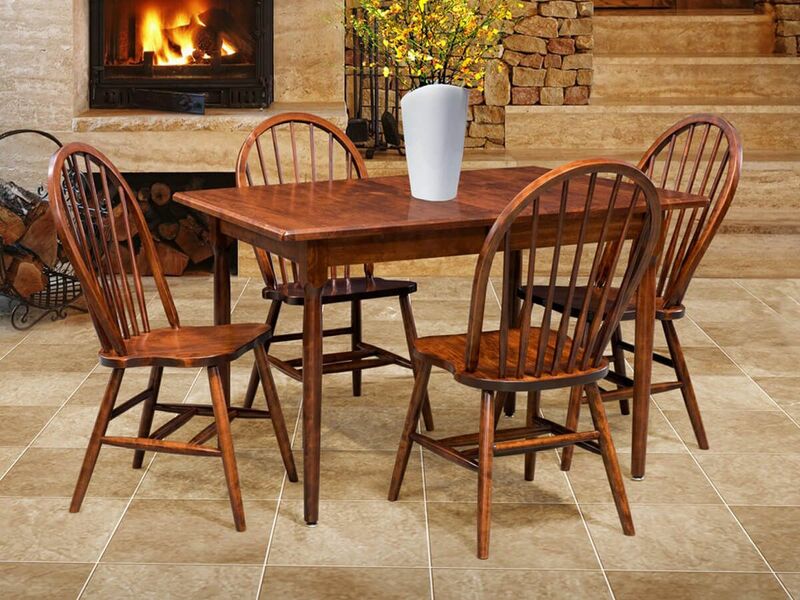 Legs will be sturdy and stable when they are attached to your Sweetfield Kitchen Table in a reinforced corner with a heavy hanger bolt. 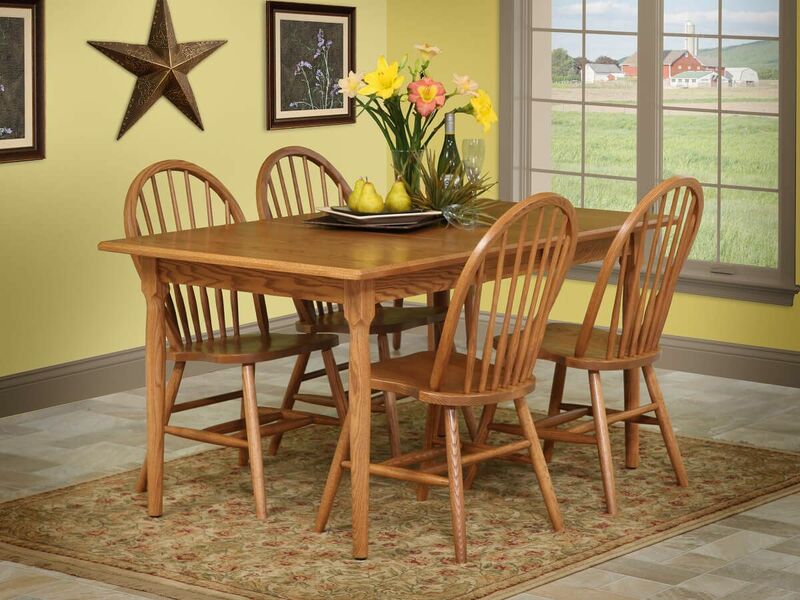 Complete your Amish made dining table with the edge style of your choice. Our craftsman finalize each project with a catalyzed varnish to protect against spills and wear. 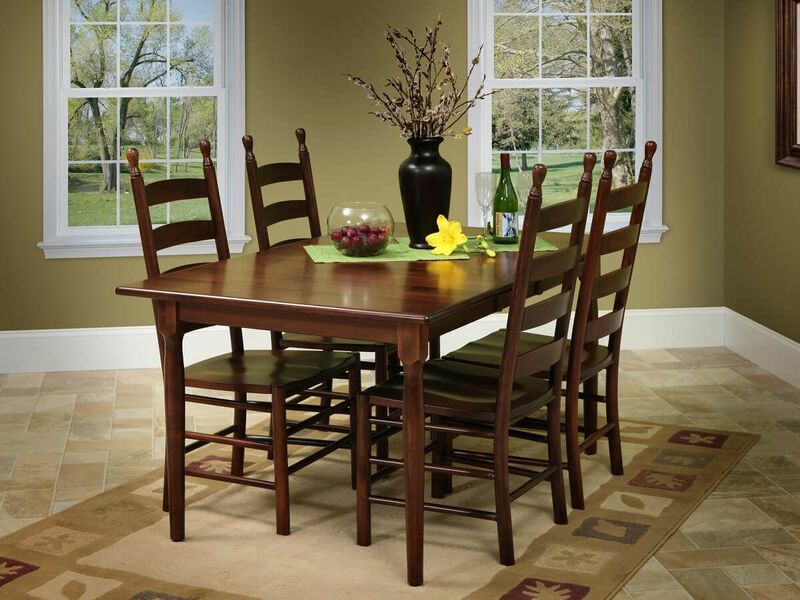 **Floor to apron clearance is 25 5/8"H.
***Center support leg is added with two or more leaves.